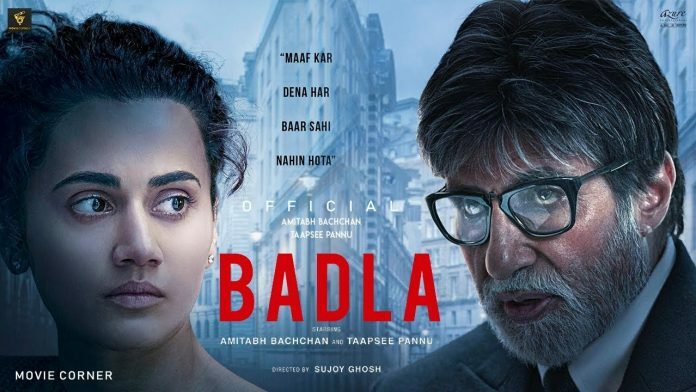 Badla witnessed a sharp growth in its box office collection on Sunday and ended the first weekend on a promising note. Not only in India but Badla has seen a roaring response in overseas markets as well as it has minted USD 1.71 million in just three days. On Day 1, Badla collected $625,000, followed up by Day 2 which saw $650,000 and on Day 3 the film collected $435,000. According to reports, leading territories which saw huge numbers are the Middle East with $680,000 and North America with $586,000. BADLA is presented by Red Chillies Entertainment in association with Azure Entertainment, Co-produced by Gaurav Verma and produced by Gauri Khan, Sunir Kheterpal and Akshai Puri, the crime thriller is directed by Sujoy Ghosh, starring Amitabh Bachchan and Taapsee Pannu in the lead roles is running successfully in theaters.